If you’ve never taken a bike to work, you might wonder why an employer might possibly want to provide showers at the office. But actually, this initiative is becoming more and more popular as employers are encouraged to promote green commuting options to their employees. Biking is a great way to get some exercise and it’s not a bad transportation option either. 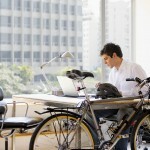 Unfortunately, biking to the office can leave you covered in sweat. Although you can cope by bringing a change of clothes, sometimes it’s best to take a shower – the smell alone can be unpleasant in a working environment. The following are some of the advantages for both employees and employers who provide showers in the office. Almost everyone who has ever biked to work or to school knows what it’s like to get off the bike and feel sweaty and sticky. It’s an unpleasant feeling and it’s even more unpleasant to spend an entire day in that state. Bringing a change of clothes can help, but it doesn’t take away the feeling of dried sweat on the skin. This fact alone is enough to deter a lot of workers from biking, even though there are a lot of advantages to this particular mode of transportation. Having a shower at work takes away this hassle and encourages employees to seize the many advantages of biking. Bikers promote their own health by getting physical activity on their way to work. Instead of having to take extra time out of your day to go to the gym after work, biking is a smart option. Not only that, but being able to bike to work gives many people an opportunity to get out of their cars and do something that’s actually good for the planet. Bikers also save out on transportation costs. Employees who are committed to personal fitness, environmental sustainability, and cutting costs also tend to choose employers who provide them with an opportunity to do so by showering at the office. You might wonder what an employer would get out of providing facilities for their employees to shower, and rightly so. In fact, by installing showers in the office, the employer is encouraging workers to become more active. When workers are more active, they are happier, more productive, and more likely to be satisfied with their jobs. It’s not uncommon for employers to offer perks such as gym memberships or even in-office gyms and this is no different. 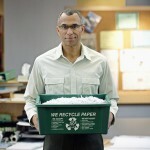 It’s a way for employers to encourage their workforce to get exercise with the added benefit of helping the planet. The number one thing that most employers wonder about is the cost of installing showers. However, if you consider the benefits of installing showers, they greatly outweigh the cost of installing them. When workers are more productive they are more likely to bring more revenue to the company. Although it’s difficult to measure this, employee success is a direct correlate of company success. So the more employees that are encouraged to take advantage of facilities that promote physical activity and sustainability, the more likely the company is to succeed.